Affordable quality touches found throughout like friendly kitchen with maple wood cabinetry, granite counters and Amana stainless appliances. Inspiring interior finishes include distressed look multi length engineered flooring in kitchen and nook, hand textured walls with custom color satin paint, 9ft plate heights, vaulted ceilings, wide baseboards and satin nickel or oil rubbed bronze lighting and hardware. Exterior features include tile roof, acrylic stucco system and fenced rear yard with draught tolerant landscaping the front. Residents will enjoy the sounds of nature, community open space with walking trail and park. Exceptional value! 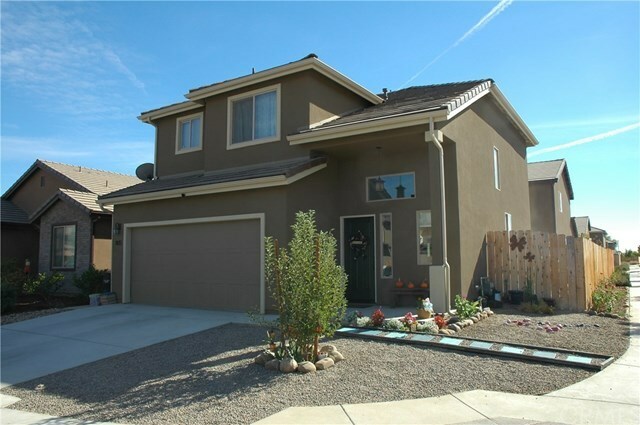 Youâve got to get into this 3 bedroom, 2.5 bath, 1482 sqft home!